Low to high depending on type of property, geographical location. Warehouses, manufacturing & production facilities, distribution centres, industrial yards. Security foot patrol, enforce the Criminal Code, Trespass to Property Act, CCTV surveillance. Your employees and all property and assets on site at your facility is priceless. As an employer, one of your safety requirements is to provide a safe and secure working environment. Your product and services define your company, and the security of those products is paramount. It is a known fact that millions of dollars are lost due to theft, whether it be from external sources, internal sources, or both. 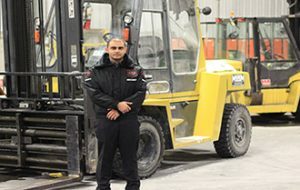 By hiring Interforce International Security to safeguard your property, employees, and assets from harm, you are taking the first step in a pro-active approach to the safety and security of all personnel and inventory on site at all times. 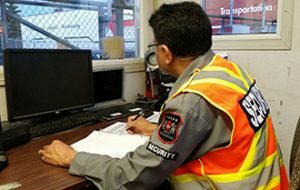 Rest assured, our men and woman are always on duty even when you’re not to eliminate all safety and security threats that may harm the well-being and integrity of your business. 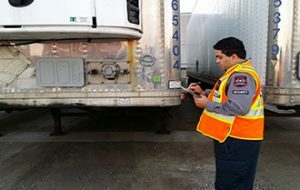 Security threats and breaches are minimized through our strong security presence, as well as accurate and detailed inbound and outbound logs of all vehicles and employees. Our strong security presence will make someone think twice when it comes to illegal activity on your premises. 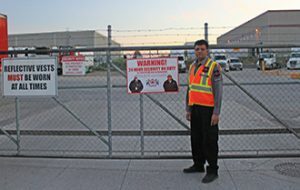 External threats involve trespassers and/or intruders breaching the facility's perimeter by either forced entry, and/or jumping over the perimeter fence. Sometimes, there are insecure openings in which the intruders can just walk inside. Once inside, intruders can cause serious damage to property by setting fires, sabotaging equipment, dump items illegally, steal materials, and also break into administrative buildings and warehouses, causing further damage and thousands of dollars in lost property. Believe it when we say it, internal threats account to half of all stolen equipment and other property inside a secure compound. Every employee working inside your facility knows has far greater knowledge on how to discretely commit an organized crime simply because they are there everyday and know the building's layout and security protocols. Often, more than one accomplice is involved, and the tactics used to carry out the crime are very clever and well thought of due to internal knowledge. What Interforce International Security can do for your facility? Major disasters such as fire or floods. 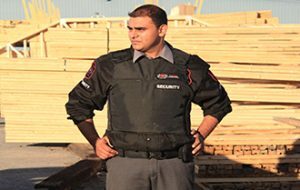 Our security personnel will detect and report any hazard for immediate correction. Ensure all of your employees and visitors are safe at any given time. Ensure all of your equipment, machinery, materials, vehicles, and other items are secure from theft at all times. 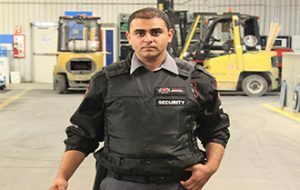 By the simple presence of a security guard, you are demonstrating to everyone who works inside the facility (as well as everyone from the outside looking in) that your facility is serious about the safety and security of all personnel and property on site. Onlookers will take notice and will likely bypass your facility if they are looking for an easy target to breach. Remember, thieves and intruders like easy targets. With a vigilant security guard on duty, your facility makes it an unattractive target. For Interforce International Security, this is Mission Accomplished. Also, employees will too take notice of a vigilant security guard always roaming the floors and compounds for anything suspicious. This is a simple yet effective method at preventing and deterring internal theft. With proper access control, your facility is now a very secure property and theft will be greatly reduced. Interforce International Security can act as a front desk attendant to provide your employees and guests a welcoming greeting and any assistance they may require. We can also monitor CCTVS, perform random and unpredictable security patrols, which will provide a strong security presence for all employees and visitors. The end result is a safer and more secure property from disasters, mechanical breakdowns, and illegal activity.